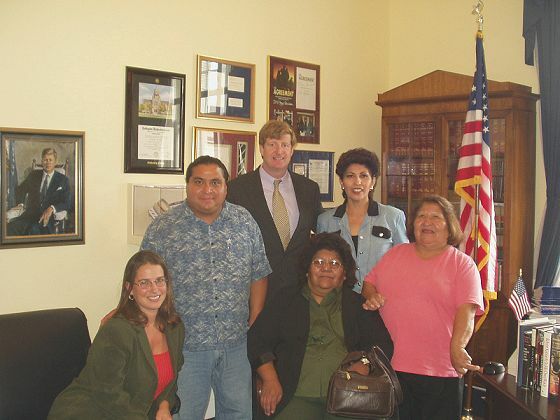 Photo of DC Delegation - left to right (from back) - Congressman Patrick Kennedy (D-RI), Thomas R. Wasson, Jody Abe, Julie Fishel, Helen Dave, Bernice Lalo. (not pictured - Elwood Mose). 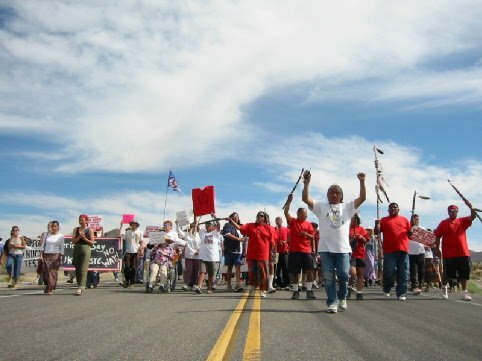 Western Shoshone lead protest at nuclear test site.